What is the capacity of mapping to reveal the forces at play in shaping urban form and space? How can mapping extend the urban imagination and therefore the possibilities for urban transformation? 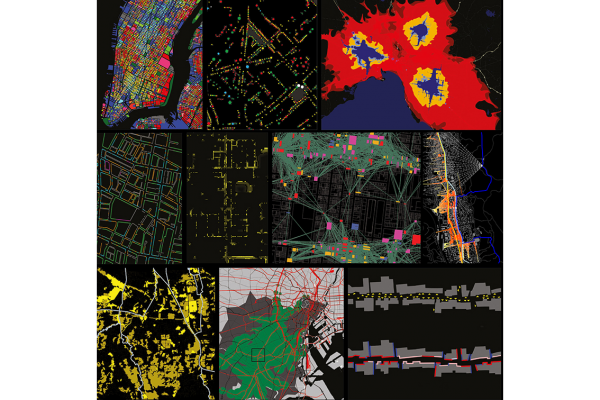 With a focus on urban scales, Mapping Urbanities explores the potency of mapping as a research method that opens new horizons in our exploration of complex urban environments. A primary focus is on investigating urban morphologies and flows within a framework of assemblage thinking - an understanding of cities that is focused on relations between places rather than places in themselves; on transformations more than fixed forms; and on multi-scale relations from 10 metres to 100 kilometres. With cases drawn from 30 cities across the global north and south, Mapping Urbanities analyses the mapping of place identities, political conflict, transport flows, street life, functional mix and informal settlements. Mapping is presented as a production of spatial knowledge embodying a diagrammatic logic that cannot be reduced to words and numbers. Urban mapping constructs interconnections between the ways the city is perceived, conceived and lived; revealing capacities for urban transformation - the city as a space of possibility.